I originally wanted a wool blanket to use for hydrotherapy. They were so expensive to buy, that I figured it was better to take a workshop and learn how to make my own. I took a class with Gwen Handler as part of Common Ground on the Hill. For my first big project, I designed an undulating twill wool blanket. I gave it a crochet edge for a smooth finish to even up the edges. 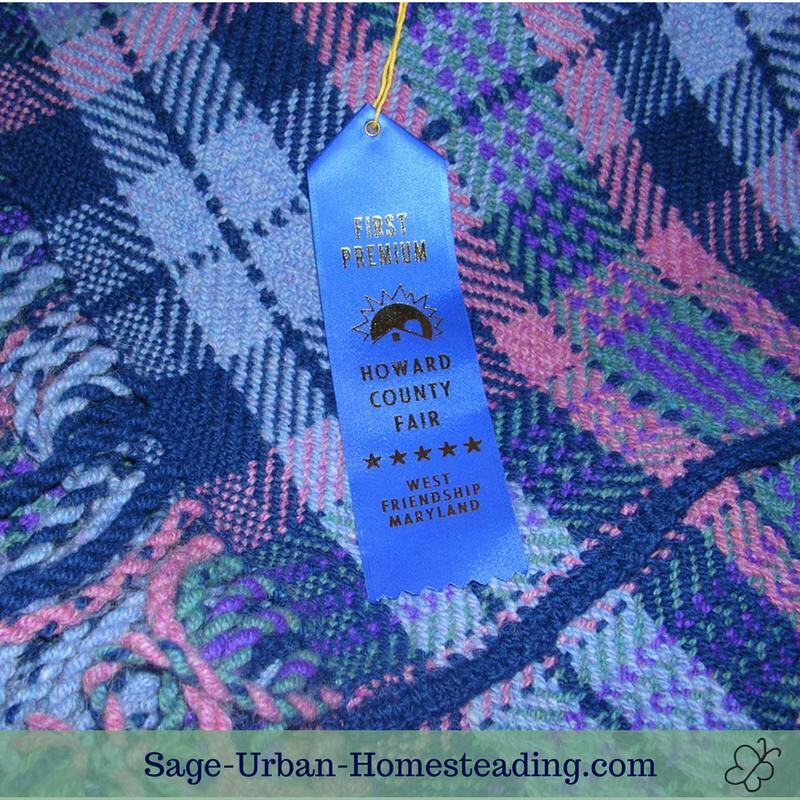 She urged me to enter it into the Howard County Fair, and I won a first place ribbon! Ironically, I consider my handwoven blanket too precious to get wet with hydrotherapy, but I do use it as part of my self-treatment program when I have a cold or fever. It's also nice on the bed in winter. The reason I would have needed a woolen blanket for hydrotherapy is that wool fiber has a special property: It keeps you warm even when it's wet. 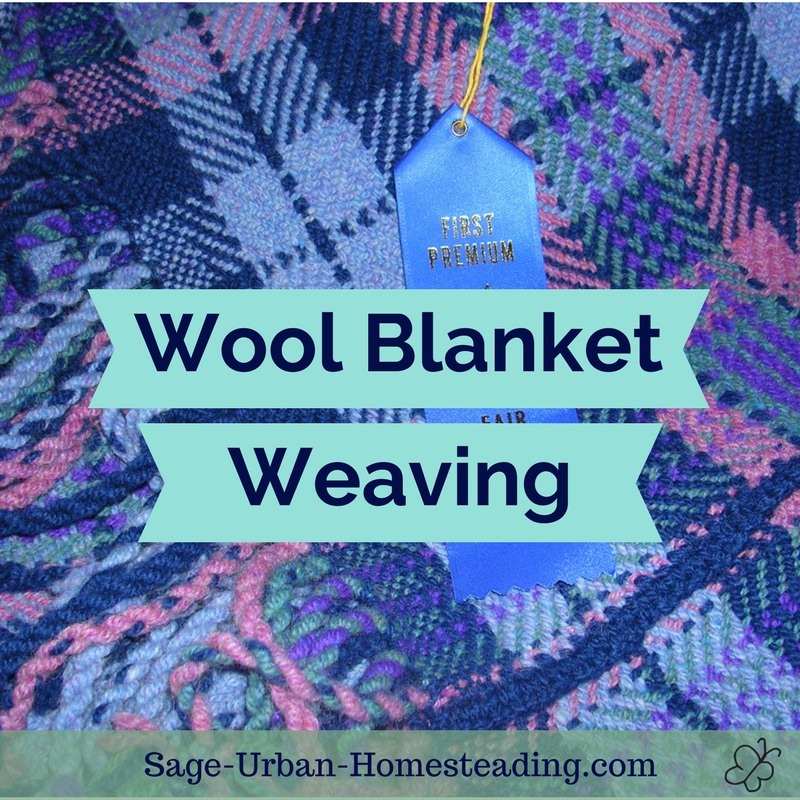 Wool helps regulate body temperature. Some blanket symbols and designs have a special significance. The Navajo tribe is well-known for their special blankets made from churro sheep wool, although other tribes wove blankets, too. You can study the traditional designs of chief blankets and serape blankets on the eRug website. Groups of people could be identified by their plaid pattern. It showed their region or family clan. Use the Tartan Finder to look up Scottish, Irish, and district tartans. 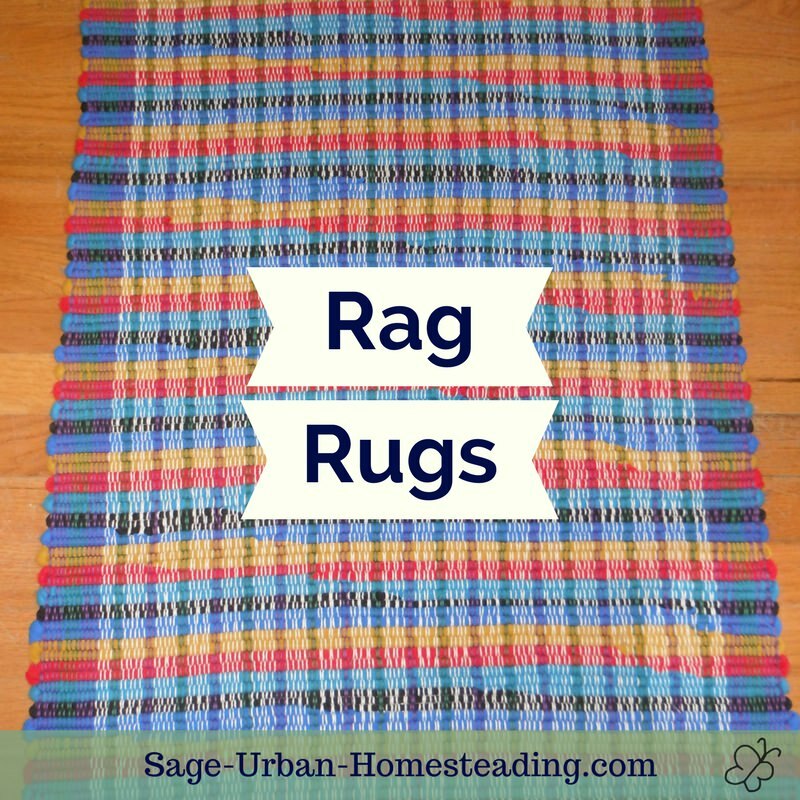 These were usually woven in the overshot pattern. 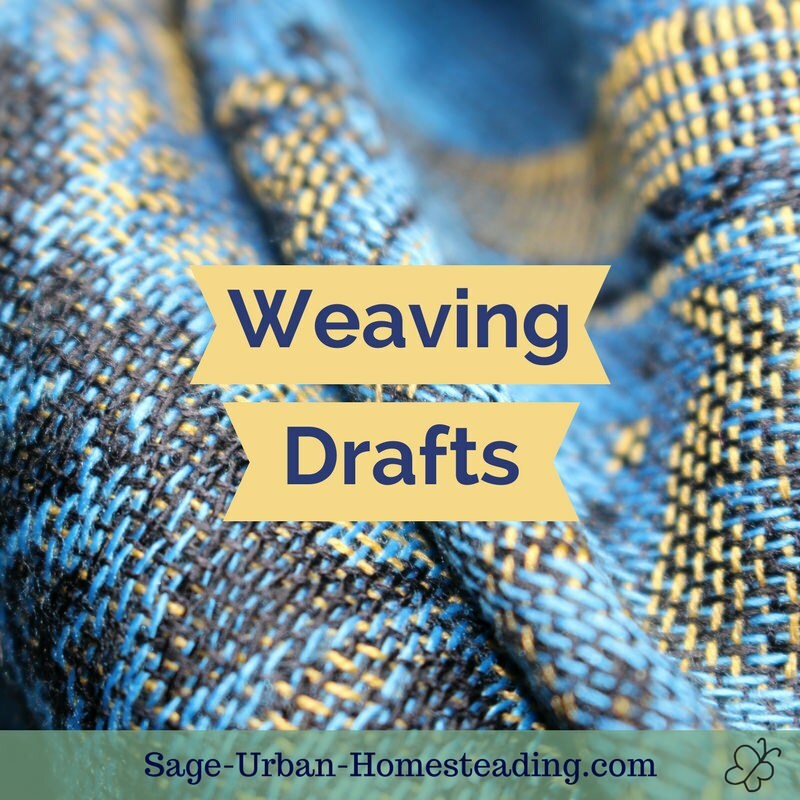 There are certain designs named by the historical houses where surviving weavings were located. Ask about the bed linens at your favorite museum! 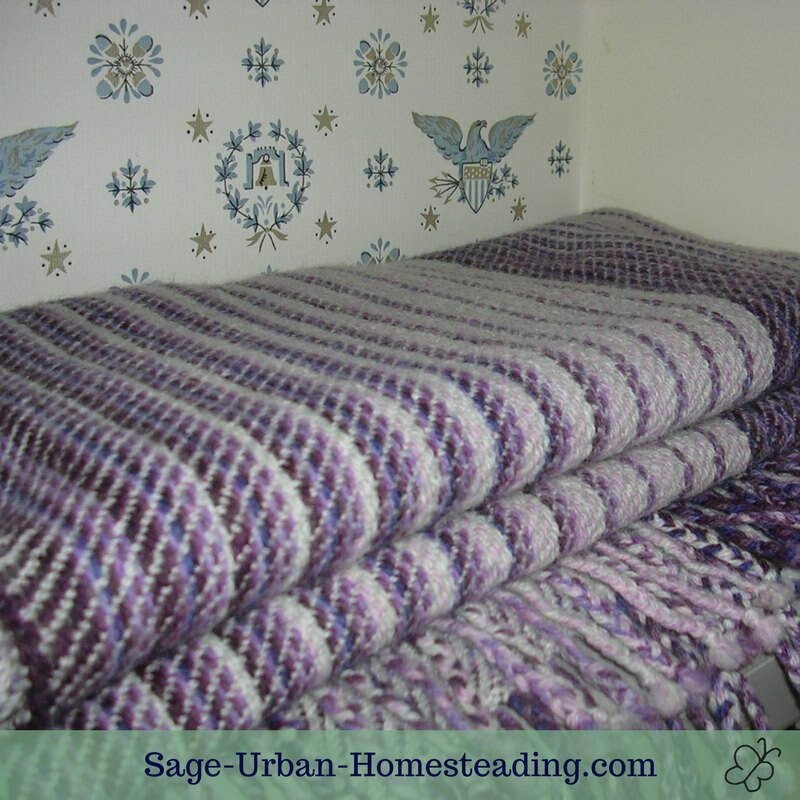 What does your favorite blanket look like? 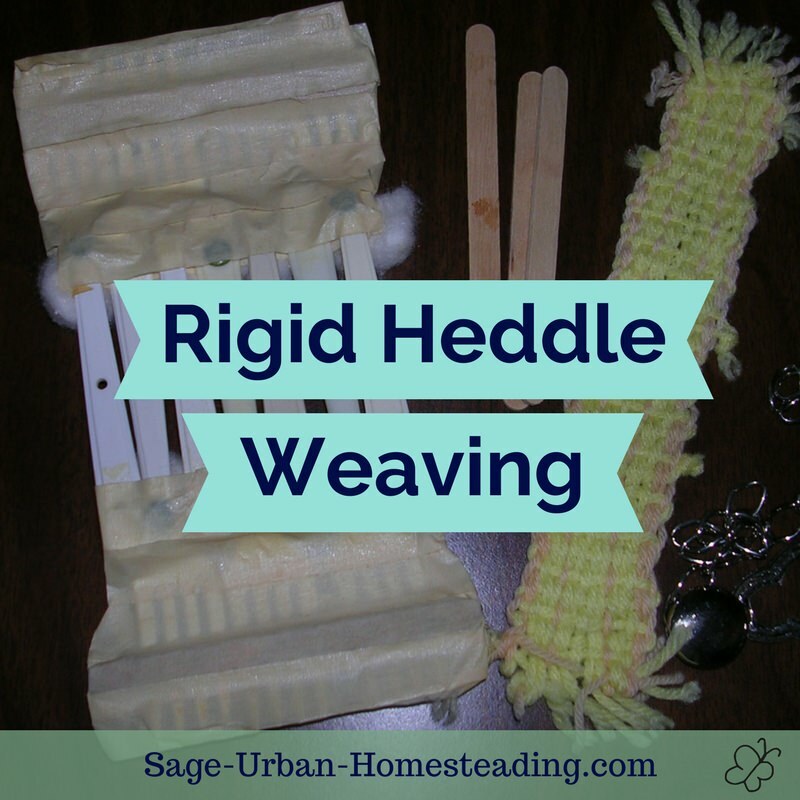 Making a wool ruana was my next big project after making the blanket in the class and getting my own weaving loom at home. A ruana is best described as a blanket you can wear. I wove it in twill so it has a nice drape. 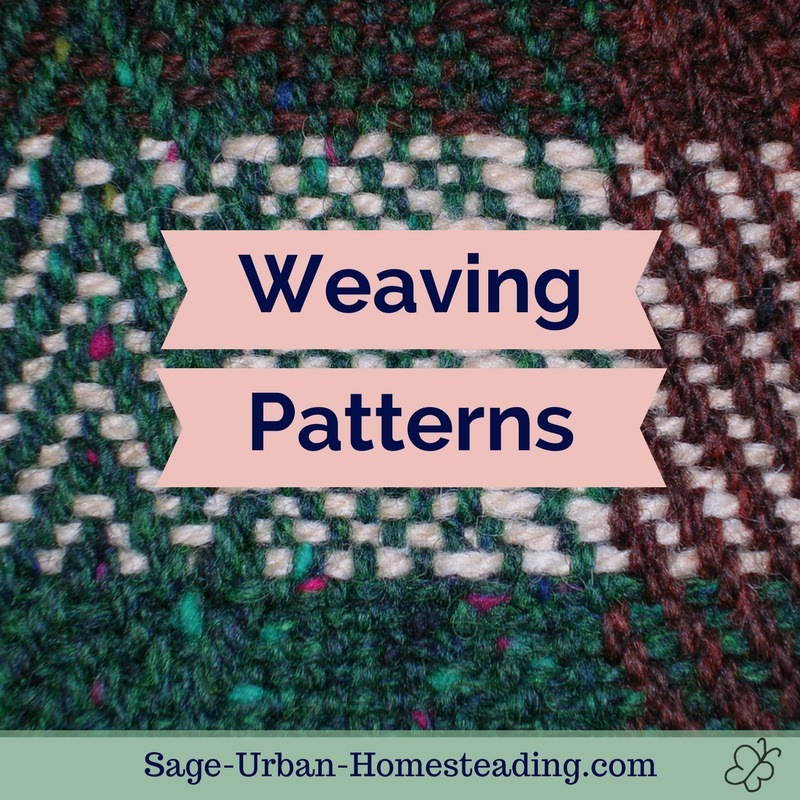 It's actually a 1/3 twill weaving pattern so that it appears to be a different color on each side even though it's only one thin thickness of woven yarn. I keep my ruana near the computer and use it often. It was woven in two big rectangles on my Baby Wolf weaving loom. I then sewed them up halfway along the length so the back is solid but there's a slit for my neck and the open front. The fine wool yarn keeps me warm without feeling bulky. I can tie it on in different ways. I actually keep it right here next to the computer to use when cold winter drafts come in from the window.